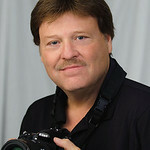 I've been a professional photographer for more than 40 years. My passion is traveling all over the world photographing remote locations and the not-so-common, unseen beauty that lies within as well as photographing the people, how they live and their culture. This makes for some of the most beautiful Fine Art images one can find.